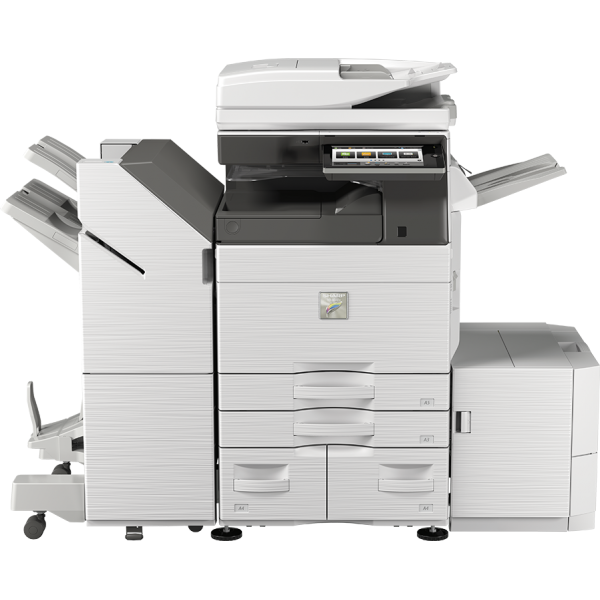 Sharp Imaging and Information Company of America (SIICA), a division of Sharp Electronics Corporation (SEC), today introduced a new line of Advanced and Essentials Series color document systems for the technology-driven workplace. The eleven new models include seven that are available now, and four models that will be available in early summer 2019. All the new models offer Sharp’s award-winning, easy-to-use touchscreen display, which is common across 30+ models in Sharp’s multifunction printer lineup, and add exciting new features for conversational AI, cloud integration and security enhancements. The new MFP Voice feature, powered by Amazon Alexa, enables users to interact with the machine by using simple verbal commands. These new color models also easily integrate with today’s complex network environments and offer quick access to an expanded list of cloud services that include Box and Dropbox. Additionally, Adobe Embedded Print Engine technology enables users to direct print PDF files from a variety of sources with greater performance and rendering accuracy. Sharp’s new Application Portal, available in the Spring 2019, will allow administrators to easily add new applications and update existing ones right from the touchscreen of the machine. Additionally, the new models are equipped with enhanced productivity features, such as the ability to feed up to 50 envelopes from the standard paper drawer. The new color Advanced and Essentials Series also deliver leading edge security features, such as a firmware attack prevention and a self-recovery capability, which can identify a malicious intrusion and restore the machine firmware to its original state. A new whitelisting feature helps protects the machines’ file system from unauthorized access. Additionally, administrators can centrally manage select settings at the device using Active Directory® Group Policy.